Whether you want a quick protein fix after a bout of exercise at the gym or you simply need a portable protein meal to survive midday slumps, these healthy protein snacks will give you all the protein you need in a single meal. They’re also portable, making them highly convenient for when you’re on the go. These snacks are healthy because they’re packed with plenty of nutrients other than protein. Make sure to include each one for different days and you’ll get all the nutrition you need in these simple meals. Almonds are considered nutritional powerhouses due to their dense nutrient content. A daily serving of almonds which is around 10 almonds will give you approximately 6 grams of protein which is sufficient to fight midday food cravings. Almonds are also rich in vitamin E, folate, choline, magnesium, and iron. The easiest way to meet almost half of your daily protein needs is with a simple protein bar. A good option is the Fit Joy protein bar that is GMO-free, gluten-free, and contains absolutely no artificial colors, flavors or sweeteners while providing 20 grams of protein and around 200 calories. Peanut butter cookies are probably the most delicious way to get your daily protein. One cookie will give you around 4 grams of protein, but you’ll probably end up eating more than that. You can also make a flourless version for an even healthier snack. The added egg in these flourless peanut butter cookies will provide you with even more protein. Instant oatmeal cups are great option if you need to eat breakfast while on the go. Quaker Instant Oatmeal Cups are one of the most popular and probably best oatmeal cups out there. One cup provides 7 grams of protein and 5 grams of fiber. You’ll probably feel full for long after this instant meal because studies show that the b-glucan content in oatmeal creates greater feelings of satiety. Eggs are probably one of the best sources of high-quality protein according to an article published in Nutrients. Hard-boiled eggs also make a great portable meal option. You can add them to your salad or to your sandwiches. One egg will give you 6.3 grams of protein, and quality eggs will also give you plenty of omega-3 fatty acids. There are many versions of this on-the-move smoothie but most call for peanut butter and bananas. The Joe Wicks Lean Chunky Monkey Smoothie is an even healthier option with even more protein than the original. The recipe in question uses chocolate protein powder and sesame seeds for an extra serving of protein. Nut bars such as KIND Plus bars are a very good source of protein with one bar containing up to 15 grams of this highly satiating nutrient. KIND Plus bars are also enriched with nutrients and antioxidants to make for an even healthier snack. Just three quarters of a cup of roasted chickpeas provide around 9 grams of protein. So, if you like to nibble on a favorite snack now and again, consider making some roasted chickpeas as a healthy protein-packed snack option. Cottage cheese is low in calories but very high in protein, vitamin A, calcium, and several B vitamins. One serving of cottage cheese can provide you with around 15 grams of protein. If you’re looking for foods to help with weight loss, then including cottage cheese into your daily healthy meals may be the way to as studies show that this type of diet helped with weight loss. A granola snack such as Lizi’s on the go granola will give you around 6 grams of protein and up to 239 calories. Granola snacks are also rich in fiber, vitamins, and minerals and make for a healthy snack option. Chocolate milk may not sound like the healthiest snack option but research shows that drinking chocolate milk after a bout of workout improves post-workout recovery. This is probably because one cup of chocolate milk contains up to 50 grams of protein and plenty of vitamin A, calcium, and vitamin D. The added chocolate will also give you beneficial antioxidants from cocoa powder. Whenever you’re planning on carving pumpkins, don’t throw the pumpkin seeds away because these seeds are packed with protein and other healthy nutrients. One cup of pumpkin seeds contains up to 12 grams of protein. Pumpkin seeds are also a rich source of calcium, magnesium, and zinc. Studies on pumpkin seeds show that they mitigate hypertension and support overall heart health. A study published in the journal Appetite found that an afternoon snack of Greek yogurt containing 24 grams of protein reduces hunger, increases fullness, and delayed eating when compared to a lower-protein meal. To make your Greek yogurt meal more interesting, we suggest adding a couple of slices of apples and a pinch of cinnamon. The apples will give you plenty of vitamins while the cinnamon will help lower your blood glucose levels. Quinoa is another rich and healthy source of protein you simply must try. 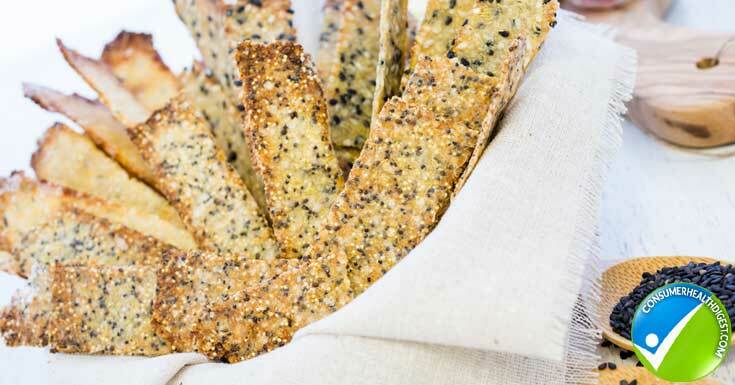 This seeded quinoa recipe takes protein snacking to the next level with the added seeds and quinoa flower. One cup of quinoa contains around 8 grams of protein but if you follow the above-mentioned recipe, you’ll probably end up eating more protein thanks to the added seeds. Protein powders are often made with whey protein, but they a highly-processed type of food. Instead of turning to protein shakes as your main source of quick protein, why not drink simple whey instead? There are many delicious whey drink options out there, some with added fruit juice. When you think about high-protein snacks, or even snacks for that matter, lentils are the last thing that comes to mind. But lentils are really high in protein and they actually make a great snack option when you find the right recipe. Take for instance this crunchy roasted lentil recipe made with cooked lentils, garlic granules, and some salt and pepper. The snack is super easy to make and very delicious. 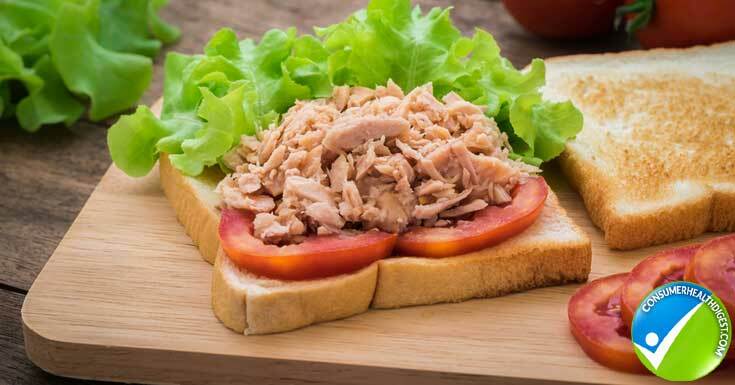 Take one can of tuna and combine it with crackers or toast and you have a healthy protein-rich snack that you can eat on the go. Optionally, you can find ready-made tuna snacks such as Clover Leaf Classic Tuna Snack. One packaging will provide you with 14 grams of protein and plenty of omega-3 fatty acids from the tuna. You may not have heard of Ezekiel bread, a type of bread made from sprouted whole grains. One slice of Ezekiel bread contains around 4 grams of protein. If you make your own sandwich with this bread with say avocado spread and some eggs, you’ll get a protein-packed meal that also happens to be very healthy. When speaking of high-protein foods, berries are usually not at the top of the list. But goji berries are an exception to this. Just 28 grams of goji berries provide more than 3 grams of protein. They’re also high in vitamin C and potassium and they make a perfect snack option. The only downside is that they can be rather expensive when compared to other berries. Chia seeds are mostly appreciated for their high omega-3 fatty acid content. But not everyone knows that chia seeds are also an excellent source of protein with 28 grams of chia seeds containing 4.4 grams of protein. 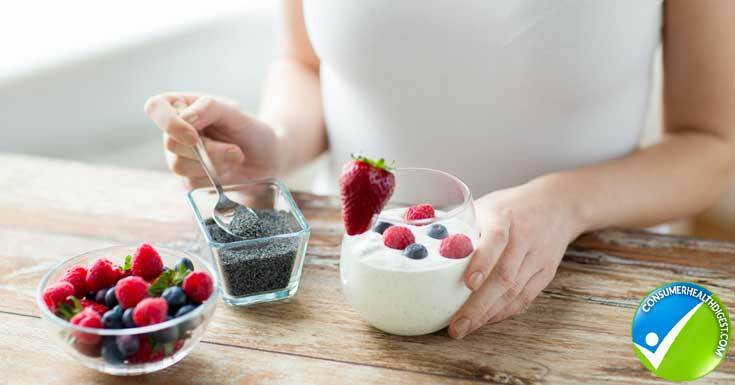 If you sprinkle a couple of teaspoons of chia seeds over your yogurt, you get a great protein-rich meal. You’ll find plenty of protein ball recipes online such as this honey sunbutter protein balls recipe. They’ll save you tons of money and they are a delicious protein treat that you can take anywhere you go. The protein in these balls comes from protein powder but also from the sunflower seeds and desiccated coconut. Another way to save money is to make your own protein bars. These no-bake berry coconut almond protein bars are also gluten-free and paleo friendly, and they’re also easy to make. The protein in these little treats comes from vanilla protein powder and almond butter. When it comes to quick protein snacks that you can eat on the go, protein balls are the absolute winners. There are so many recipe options out there that it becomes hard to pick your favorites. 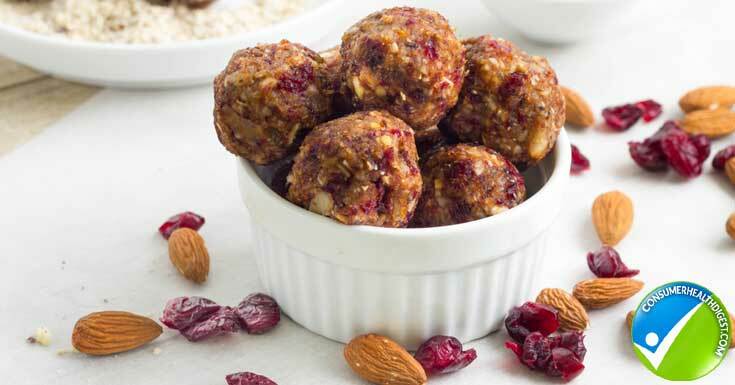 We suggest these high-protein energy balls from Happy Healthy Mamma. They’re super healthy, delicious, and packed with protein from chickpeas, almonds, and peanut butter. They’re sweetened with natural honey to make for a healthy snack. Cashew nuts are unique for many reasons. Unlike other nuts, cashews are highest in the very healthy monounsaturated fatty acids and they’re also rich in all key nutrients. They have very high protein content with 28 grams of cashews providing more than 5 grams of protein. They’re also great for fighting heart disease. A basic avocado toast with pumpkin seeds is a healthy protein-packed snack option that you can easily prepare at home and bring to work. One avocado toast will provide you with 5 grams of protein from both the avocado and the pumpkin seeds. Avocados are also high in fiber, magnesium, vitamin C, folate, niacin and niacinamide, and many other important nutrients. This isn’t your usual chocolate pudding that we know is too starchy and high in fat. This unusual chocolate pudding made with cottage cheese, chia seeds, coconut milk, honey, vanilla, and cocoa powder. All ingredients are very healthy and the dish is packed with protein. Make the dish beforehand, pack in small containers and eat while on the go. 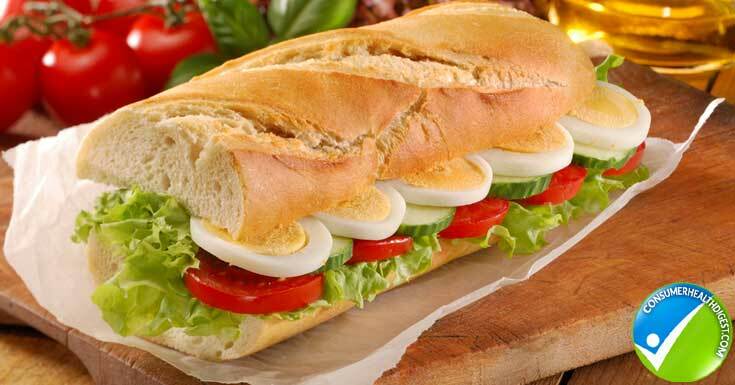 There are two main reasons why this recipe has made it in our list. First, it’s in a jar so you can take the dish anywhere you like. Secondly, the meal is low in carbs and high in protein with one serving providing as much as 15 grams of protein and only 191 calories. Eat the dish straight out from the jar or add to a whole-wheat wrap. This recipe only contains 4 ingredients and a minute of your time to make. All you need is some cottage cheese, dried blueberries, pomegranate seeds, and flaxseeds. If you like, you can even add fresh blueberries for even more antioxidants to this high-protein snack that you can pack in a container and munch after your workout routine. Everyone loves smoothies because they’re easy to make and wonderfully delicious. This peanut butter banana smoothie will make for a high-protein snack that you can drink on the go. The recipe calls for high protein ingredients, namely greek yogurt, bananas, and peanut butter. Adding instant oatmeal to the mixture will give you even more protein and the smoothie will get a beautiful texture. If you are a salad lover, then this recipe may be the high-protein diet you were looking for. This salad will provide you with as much as 12 grams of protein and a punch of antioxidants from the tomatoes, olive oil, and fresh basil. We all appreciate the benefits protein can provide. From keeping us feeling full and aiding in weight loss to helping us build muscle, protein is one of those nutrients you know you need to feel and look good. Eating protein while on the go is made easy when you have healthy snack options to complement your busy life. Make sure to try out these healthy protein snacks for your daily dose of protein.